Judith Leemann’s residency at Comfort Station casts that space as a study center for the close examination of relation. Drawing on the archival remains of Goat Island’s fourth work, It’s Shifting Hank (1993), Leemann re-animates that work’s central relations (instruction, rescue, contagion, communion) via works on paper, readings, and object choreographies. At the close of the residency, Leemann will offer a lecture demonstration of those relations, to serve as an introduction to the work she is developing for the Chicago Cultural Center’s exhibition goat island archive – we have discovered the performance by making it. Leemann’s approach in responding to the archival materials is to allow herself to become symptomatic, so that making, reading, teaching, and parenting all begin to show signs of exposure. The symptom here is understood as a particularly insistent kind of communication, as eloquent as it is opaque. Judith Leemann is an artist, educator, and writer with a focus on translating operations through and across distinct arenas of practice. A long-standing collaboration with the Boston-based Design Studio for Social Intervention grounds much of this thinking. Leemann is Associate Professor of Fine Arts 3D/Fibers at the Massachusetts College of Art and Design and holds an M.F.A. in Fiber and Material Studies from the School of the Art Institute of Chicago. Her writings have been included in the anthologies Beyond Critique (Bloomsbury, 2017), Collaboration Through Craft (Bloomsbury, 2013), and The Object of Labor: Art, Cloth, and Cultural Production (School of the Art Institute of Chicago and MIT Press 2007). 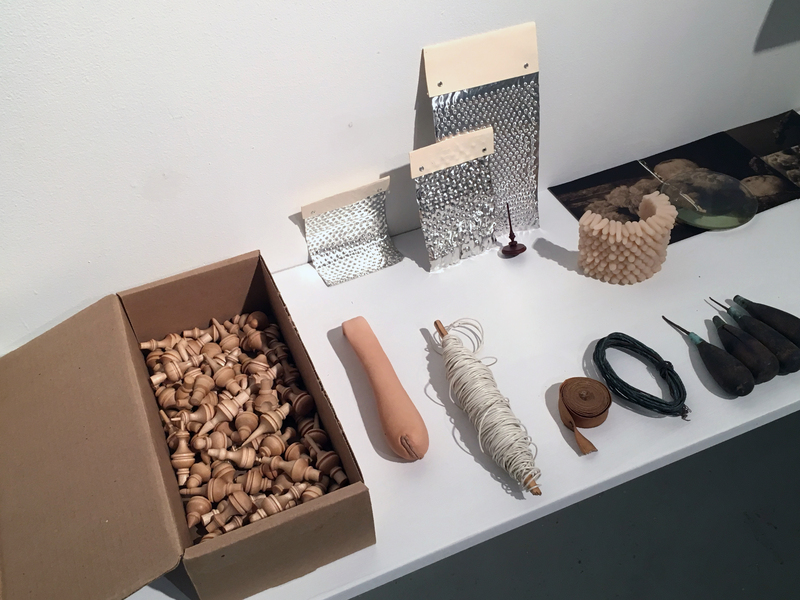 Leemann’s distributed audio project reading aloud is produced every spring at the intersection of her studio, teaching, and research practices. Recent exhibitions include arvensis (of the field) (Proof Gallery, Boston, 2017), WOUND (Cooper Union Gallery, New York City, 2016), Virtually Physically Speaking (A+D Gallery, Columbia College, Chicago 2014), and Resonating Bodies (The Soap Factory, Minneapolis, 2013). Leemann is a frequent contributor to national and international gatherings, from formal conferences to informal working groups. Her current pedagogical research is anchored by the Retooling Critique Working Group she first convened in 2017 to take up the question of studio critique’s relation to educational equity. Comfort Station is a multidisciplinary art space whose mission is to present challenging and stimulating programming that is open and accessible to everyone. We are a community-centric organization offering a wide variety of programs: art exhibitions, concerts, film, workshops, lectures, participatory events, and more. As a historic building in the heart of Logan Square, we aim to create an active intersection of diverse Chicago communities and promote new connections between them. Comfort Station is all ages, wheel chair accessible, and gender inclusive.